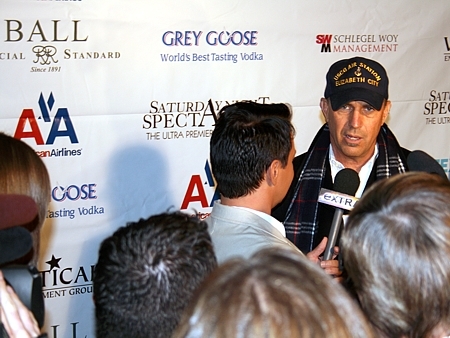 Host Kevin Costner on the red carpet. BALL Watch as major sponsor for Saturday Night Spectacular, the Ultra Premier Big Game Event! This year the charity was Jenny McCarthy and Jim Carrey's Autism Organization - Generation Rescue.